A series spooky gifs posted by Infinity Ward communications manager Ashton Williams could be hinting at what's in store for us with the next Call of Duty. Williams has posted a new gif almost every day since the end of November, suggesting that this is teasing a new game and not someone who was just late to Halloween. The first, now pinned, can be seen below. While Williams has been doing this for a while, it only really got noticed recently, spreading to Reddit and ResetEra, where the speculation commenced. So what can we glean from all these apparitions and demons? There have been some guesses that it's referencing Call of Duty: Ghosts and thus teasing a Ghosts sequel, but I'm not convinced. There are plenty of ghostly gifs, but they're accompanied by demons, skeletons, monstrous spiders—all the horror classics. All of these things are ghost adjacent, but it's a bit of a leap. One gif also featured a skull that's somewhat evocative of the masks worn by the Ghost squad. But it's still a bit of a stretch. Also, Ghosts wasn't very good. One of the weakest games in the series, and most forgettable, its only saving grace was Riley, a helpful hound that followed you around. He's the single character I can remember. It's not the sort of game that begs a sequel. 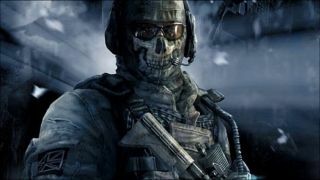 Then there are the rumours, appearing last year, that Infinity Ward is developing Modern Warfare 4, a series that contained a character known as 'Ghost'. He's dead, however, and if that's what the gifs are referencing, what's the devil doing in so many of them? Williams has been posting these hints for over a month, so hopefully we'll be getting something more concrete soon.